Celebrating a Middle-earth Midsummer’s Eve! Signed copies of this brand new 2014 calendar are now available worldwide, shipped directly from the illustrator, and half of all proceeds go to support A Long Expected Party 3 in Kentucky! 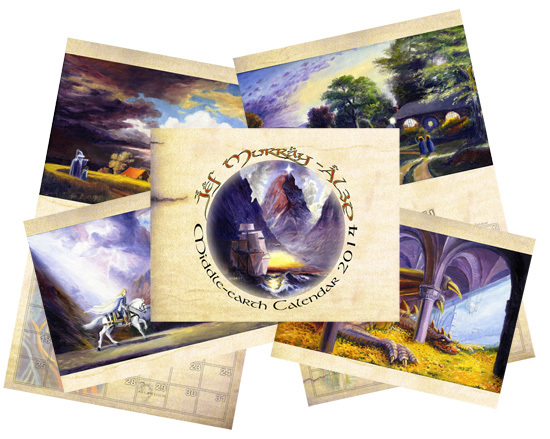 The calendar is loaded with Middle-earth inspired painting images from Jef’s galleries. You can purchase your own copy by clicking here.